The communities of Barranquilla where FCC’s programs are active have high rates of violent crime, gang activity, substance use, recruitment for legal and illegal armed groups, school drop-out, malnutrition, domestic violence, sexual abuse, and early pregnancy. Many families in these neighborhoods have been displaced as a result of Colombia’s ongoing armed conflict or recent natural disasters in the surrounding rural areas. For girls, these challenges are compounded by restrictive gender norms, a scarcity of strong female role models, and little access to accurate information on sexuality and reproductive health. The communities where FCC’s programs are active have high rates of violent crime, gang activity, school drop-out, malnutrition, sexual abuse, and early pregnancy. There are reported 95 different gangs (80% ages 10-20); 23,000 children were detained in 2013 for different crimes, 312 for homicide. 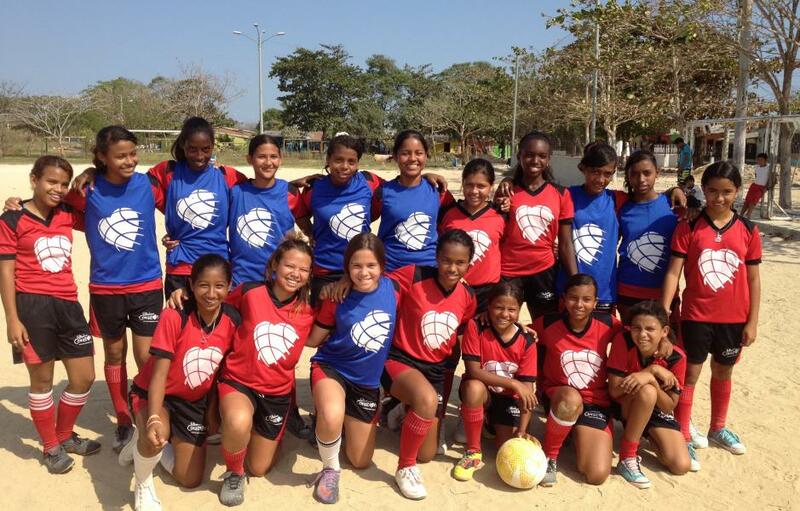 Founded in 2007 by successful Barranquilla businessman Samuel Azout, Fútbol con Corazón (FCC) currently runs sports-based youth development programs for over 4,000 youth aged 5-16 from low-income communities of the department of the Atlántico and Guajira along Colombia’s Caribbean coast. FCC’s methodology blends values-based sports instruction (using innovative methodologies to reinforce values such as cooperation, teamwork, respect, discipline, and honesty1) with a nutrition program, health and life skills workshops, links to vocational training, parental engagement, counseling, and community outreach. The organization’s overarching goals are to build youth leadership and strengthen community cohesion, as a means to improve young people’s life prospects, decrease violence, and increase overall quality of life in their communities. Despite its relative youth as an organization, FCC has garnered significant national and international recognition for its work. In 2010, FCC was featured on CNN International and ESPN Deportes and awarded Beyond Sport’s prestigious Global Award for Best Organization in Sport for Social Inclusion. While about half of FCC’s participants are female, it was EMpower’s support that led the organization to examine the challenges confronting girls and integrate gender equity as a crosscutting theme in their work. EMpower’s 4th grant to FCC supports the training of staff and youth leaders with the skills and tools necessary to handle different situations that arise day by day with their program participants directly related to gender and sexual and reproductive health as they look to more formally build micro-intervention hubs of work in 4 new communities. Where is Futbol con Corazón?